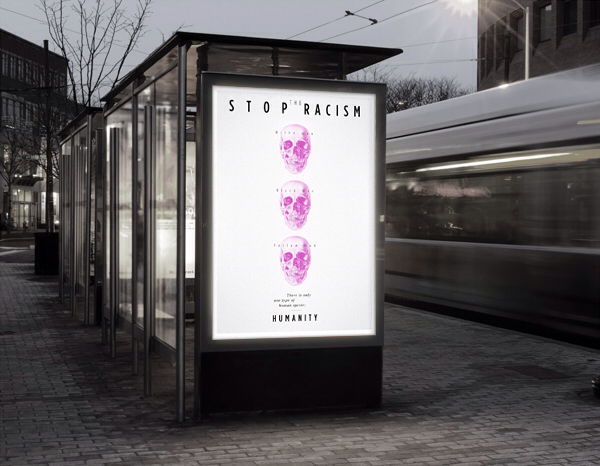 Create a poster against racism, to stimulate or create a change against it. 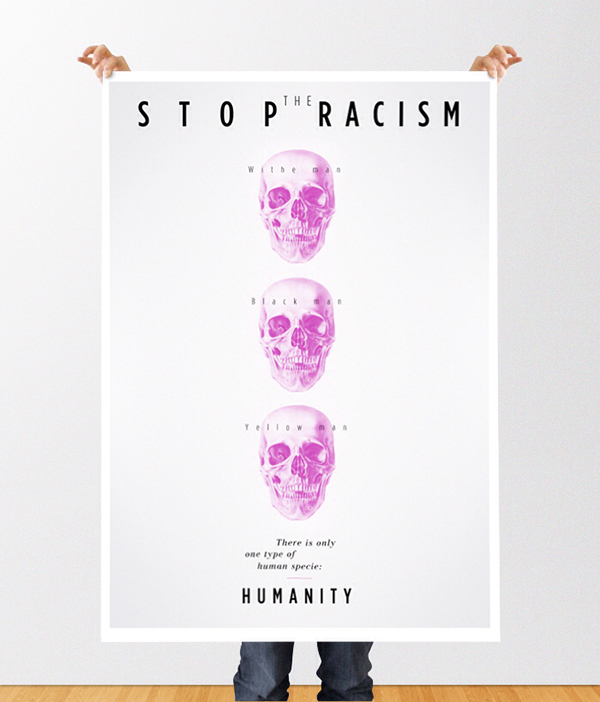 – Understand to what you will run into practicing racism. – Communicate the union of human diversity. 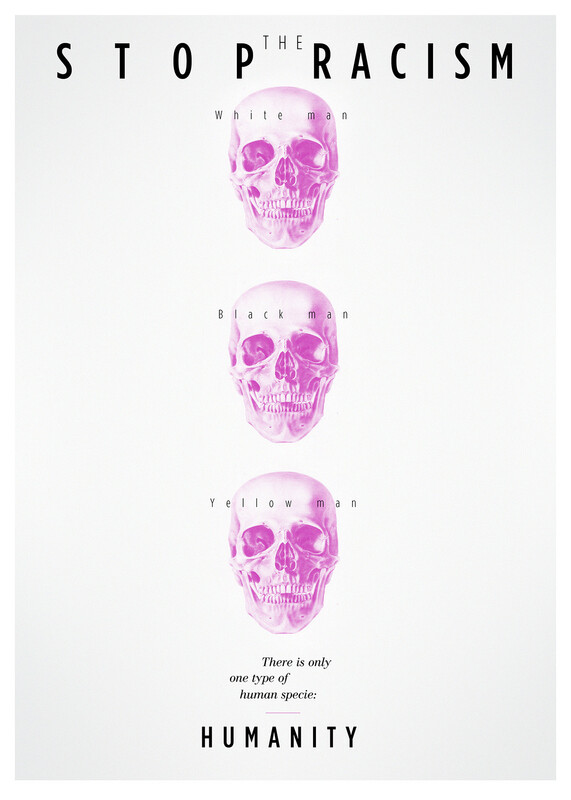 – Create a poster that functions both print and on the web-digital. – Communication must be exposed through universal messages. the body of Christ; While the axes of typography, the cross. The way to communicate the'' diversity'' in a person, the humanity. And if one of them was different, compromise the body, not having more harmony than before, and creating the difference between them.